This could possibly not be more traditionally Nordic. Since you can now get seaweed caviar, you can easily impress your guest with a small starter that looks really advanced, but this is actually so easy to make. Serve with my lingonberry cocktail recipe, which you can find here. Cut the rye bread slices into approx 2,5 x 2,5 cm squares. Blend your non-dairy cream of choice with chives and dill. 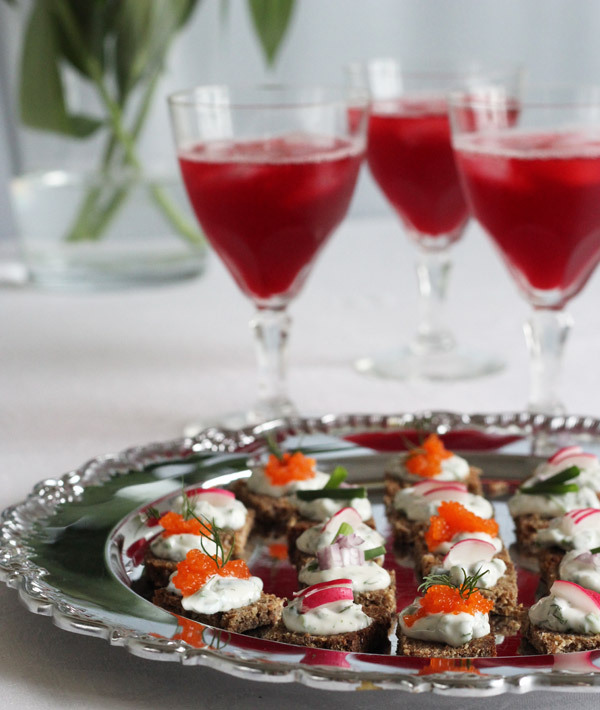 Place the rye bread pieces on a beautiful tray. Use a small teaspoon to place a dollop of the cream mixture on each rye bread piece. Then add decorations to each rye bread piece. 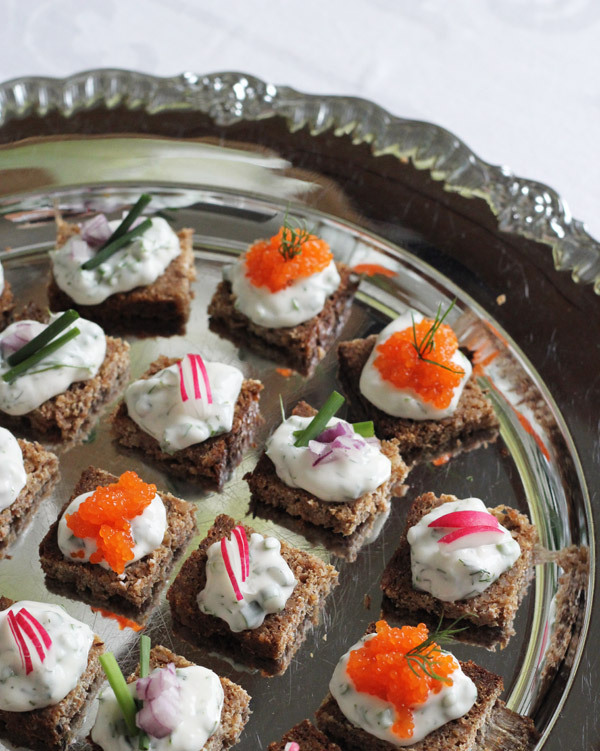 I have placed a dollop of seaweed caviar, finely chopped red onion or radish on every other rye bread peace, then decorated them with a twig of dill or piece of chive. Serve immediately with a cocktail. This recipe is previously seen in Fresh Vegan Magazine.